I have long been a fan of the POC Sports helmets and eyewear range: previously reviewing products such as the POC Octal Helmet and POC Do Half-Blade Sunglasses. On my #WildCardDolomitiRide, I finally got the chance to try out their apparel range too; in the form of the POC Raceday Climber's Jersey, AVIP Light Wind Vest and Multi-D Bib Shorts. 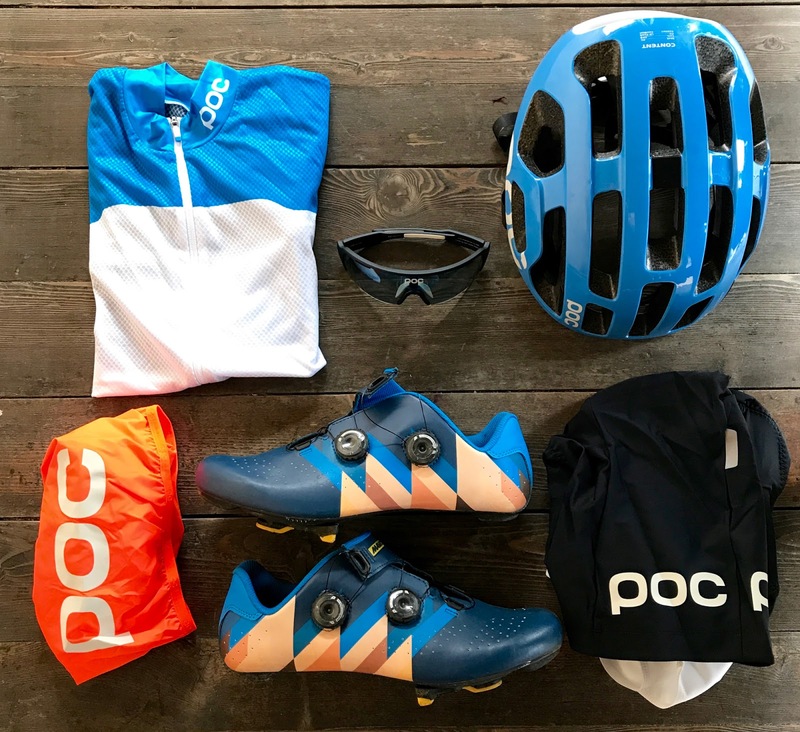 The POC Raceday Climber's Jersey is a lightweight minimalist piece; designed to keep you comfortable in the hottest conditions, and on the most challenging gradients. 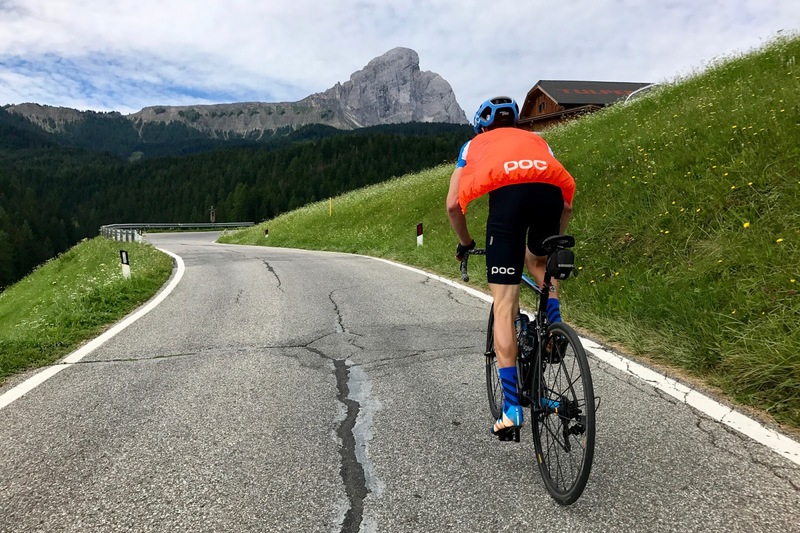 I tested the jersey on Haute Categorie climbs in the Dolomites, in 30 degree heat. It performed faultlessly. The fit (I'm wearing a size Small) is very good; with plenty of stretch in the fabric providing a form-fitting cut. The fabric itself is a lightweight and highly breathable 3D mesh material, which wicks away moisture effectively. With three rear pockets, subtle graphics, and fantastic colour schemes; this is a great jersey for long distance riding in hot conditions. 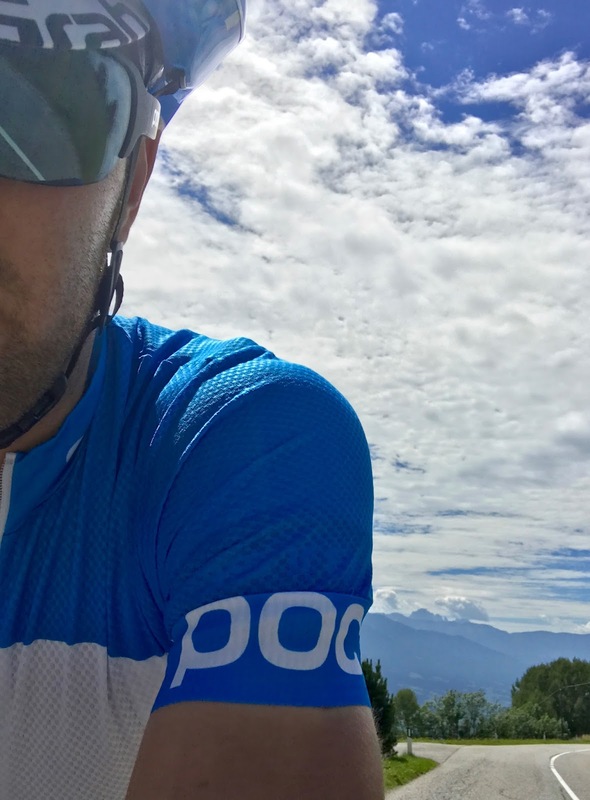 The POC Sports Multi-D Bib Shorts are designed to be durable long distance cycling shorts. 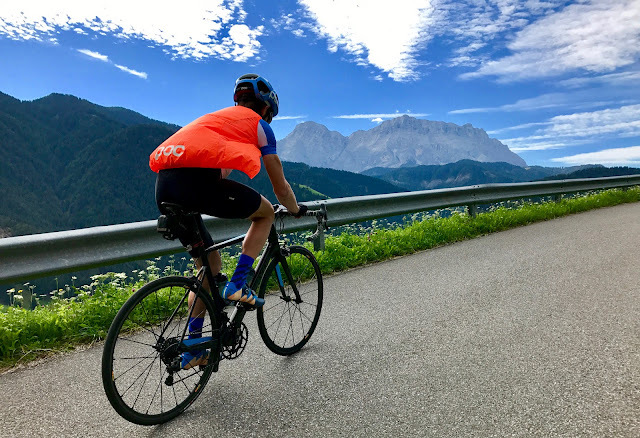 Made from a classic feeling stretch fabric, and with an equally classic panelled cut; they are a smart and traditional looking set of bib shorts. The fit is good, with the Medium sized bibs I tested having a good leg length and good length bib straps. There was a bit of extra fabric in areas, but then I am generally quite light for a Medium cut (my sizes are listed here). The leg grippers were kept firmly in place by the strong silicone grippers. The highlight of these shorts is the chamois pad. 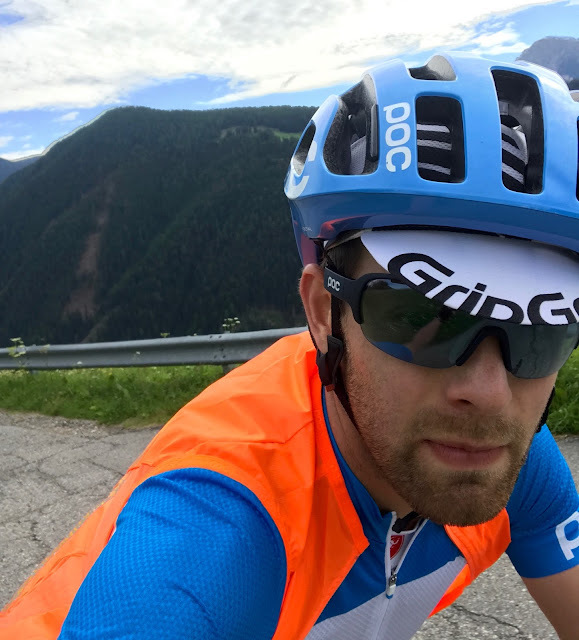 The seamless Multi D chamois provides great support and helps relieve pressure points, thanks to POC's silicone based pre-cut VPDS inserts. The inserts have been placed to reduce road vibrations, while not compromising ventilation in hot conditions. I noted both of these benefits while testing these on the #WildCardDolomitiRide. A great companion to the POC Climber's Jersey, these are a subtly styled and well made pair of bibs. The POC AVIP Light Wind Vest is certainly a stand-out piece of kit; with the AVIP orange colour seemingly having almost light-emitting properties. Lightweight, breathable and windproof. The transparent material has been treated to provide some protection in light rain, as well as good wind-proofing. It remains incredibly packable though. My only criticism of the piece is that the cut is a little tight across the stomach and chest. 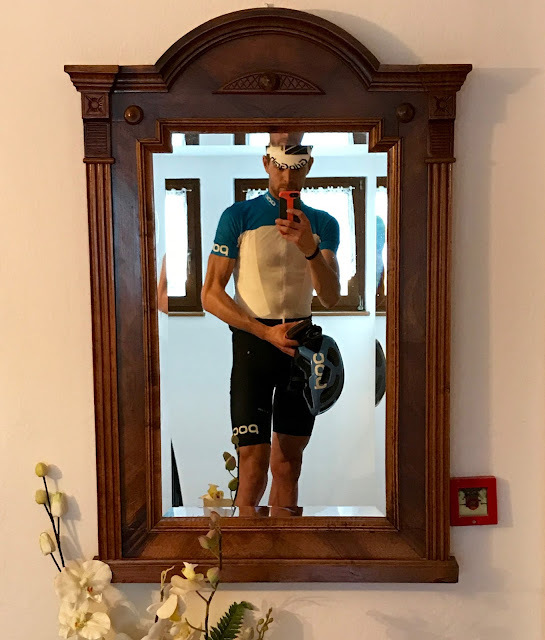 The fabric doesn't allow a great deal of stretch, so even though I also tested a Small in this product, it seemed more restrictive than the Raceday jersey. Overall, with the correct sizing, this is a gilet that can offer valuable lightweight protection, and great visibility.